From a ‘Sleep Robot’ who breathes along with you to make you sleep better to a burger that is made from reconstituted plant matter or a robotic companion dog that has life-like movements – the biggest tech show on Earth in Las Vegas this year had a lot to offer. The show, which attracted nearly 180,000 people, saw some of the biggest innovations around 5G, the advent of foldable phones and digital wellness taking a giant leap. The new Impossible Burger 2.0: An example of advancing food engineering, the Impossible Burger hogged more than just limelight at the CES in Las Vegas. Said to be the most incredible “innovation”, this hamburger is made from reconstituted plant matter. 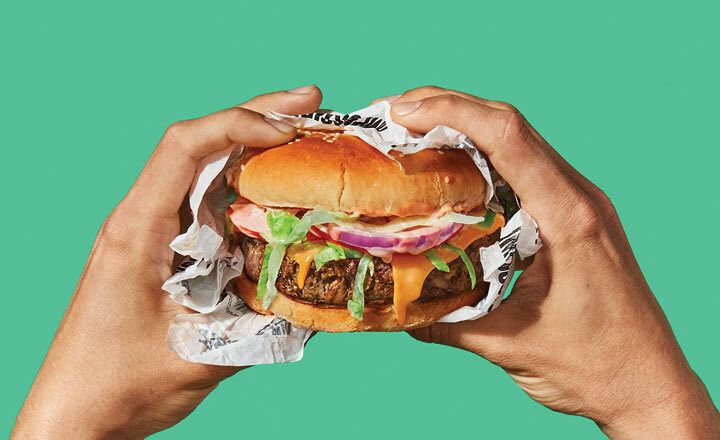 The Impossible Burger 2.0 is the new-and-improved version of the company’s original plant-based burger that left the crowd stunned with its smell, texture, flavor and color – almost like a real hamburger. 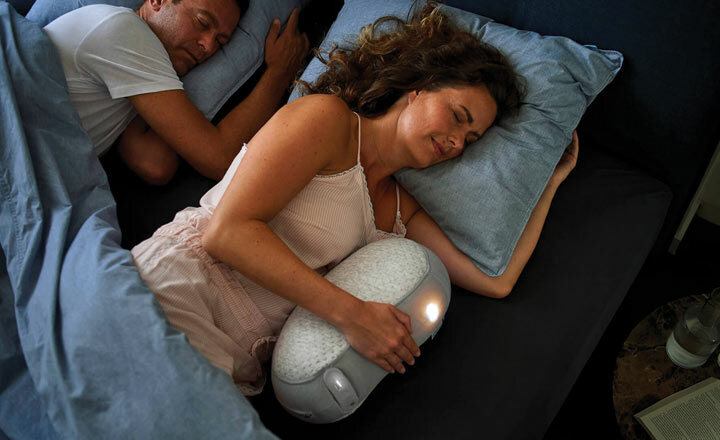 Sleep Robot by Somnox: Somnox’s Sleep Robot is essentially a sleep device that is said to help its users sleep faster, longer and wake up feeling refreshed. It is a peanut-shaped device that simulates the breathing of a human and its chassis lowers and rises, which almost imitates a human chest as it breathes. It is said to relax users and help them doze off in a jiffy. Sony brings robo-puppy AIBO to life: Sony introduced a refreshed version of its AIBO robot dog at CES that highlights hardware and AI perfectly coming together. The new AIBO is said to be the most realistic and advanced Sony has ever created. It is a reboot of the robot dog the company first launched in 1999 and laid to rest in 2006. World’s first rollable OLED TV: LG Electronics unveiled the world’s first rollable OLED TV in which the screen retracts into a box when not in use. Built on a concept that was unveiled in 2018, the 65-inch Signature OLED TV R will be available this year for sale, the company has announced. Apple, Samsung made nice with iTunes-smart TV partnership: Apple, in a first, announced support for its iTunes movies and TV shows and Apple AirPlay 2 on Samsung’s 2019 Smart TV models, beginning this spring. 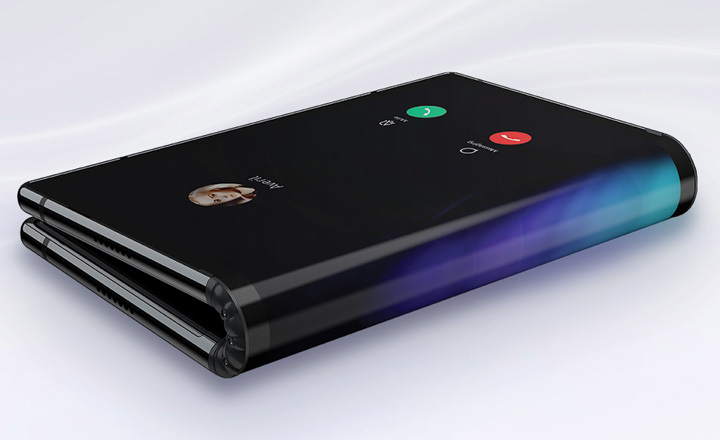 Royole FlexPai, a foldable smartphone: Officially announced late in 2018, the Royole FlexPai was unveiled at CES this year. This ‘phone’ is actually has a large tablet-sized display and only once it is folded inwards that it starts to look more like a phone. AT&T to use 5G to connect hospitals: American multinational conglomerate and network service provider AT&T announced that it was working on 5G use-cases across hospitals and stadiums in the US, including signing a deal with Rush University Medical Center and the Rush System for Health to create the “hospital of the future”. HTC announced Vive Pro Eye, Vive Cosmos VR headsets: Taiwanese consumer electronics company HTC unveiled the Vive Pro Eye – a new VR headset for PCs – and the HTC Vive Cosmos that is an untethered VR headset that will work with both smartphones and PCs. The Vive Pro Eye natively integrates eye tracking, features gaze-tracking menu navigation and removes the need for controllers. HTC said it is ‘an evolution in the enterprise VR space’ which tells you who it is aimed at. Google Assistant got smarter: Google Assistant is about to get smarter with a new Interpreter mode that would help users have a real-time conversation in nearly 27 languages. The Interpreter mode in Google’s virtual assistant would be rolled out over the next few weeks on Google Home devices and Smart Displays.